Q. Why am I being asked to log into WindowsWear? WindowsWear now mandates that all users must create an account on their site to access the database. When one clicks on the WindowsWear link from the A-Z list they land on a splash screen for WindowsWear with links to Sign In or Join Now. 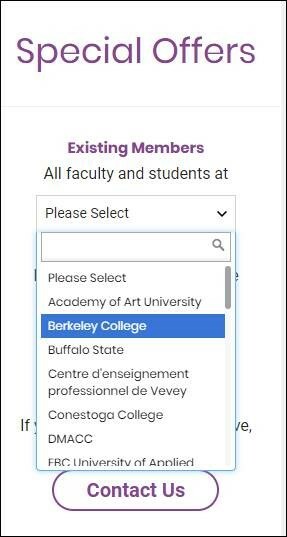 Students and faculty must register for an account with WindowsWear and select their affiliation with Berkeley College to access WindowsWear content.